John Mellencamp splits with wife: John Mellencamp (pictured), known for his nostalgic songs about heartland America, is parting ways with wife Elaine, the couple said in a statement Thursday. Blinding storm creates 100-vehicle wreck: A strong storm system made driving dangerous in the Rockies and the upper Plains and contributed to a pileup involving about 100 vehicles Thursday near Fargo, North Dakota, officials said. The best (and worst) films of 2010: Tom Charity, a veteran of 20 years of writing and thinking about films, offers his list of best and worst films of 2010. Video captures serial killer's defiance: Closed-circuit television footage that led British police to identify Stephen Griffiths as a serial killer shows the self-proclaimed "Crossbow Cannibal" carrying the weapon in the hallway outside his apartment shortly after he killed one of his victims, then raising his middle finger to the camera. Midwest storms leave 6 dead: A line of fast-moving storms and possible tornadoes stretching from the Gulf Coast states to Illinois left at least six people dead Friday and caused widespread damage to homes and businesses, as forecasters warned of more potentially severe weather. New York may have a crystal ball, but Key West, Florida, has Gary Marion to help bring in the new year. Gary who? That's a fair question, because most people know him only by the name Sushi. Every December 31 for the past 14 years, Marion has put on a wig and false eyelashes and painted his lips before stepping into a supersized red high heel on the roof of the Bourbon Street Pub. The gown Sushi wears is handmade. This year it is gold and silver, and it took Marion about 45 hours to make. 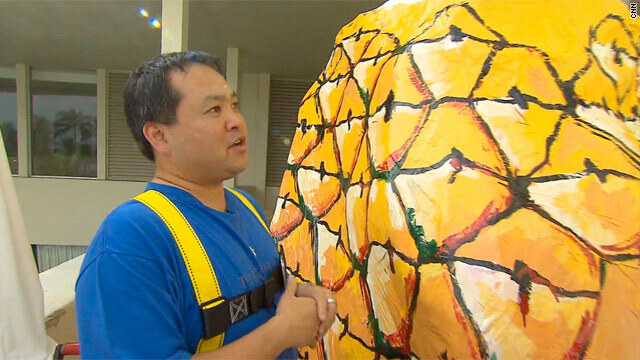 Tonight, a crowd has gathered and they are anxious to see female impersonator Sushi (pictured) as Sushi is lowered to street level, marking the start of the new year. CNN reporter John Zarrella has been bringing this celebration live to CNN's viewers for the past nine years. During an interview with Zarrella last year, Marion threatened to retire. Sushi's fans pleaded with her to continue this Key West tradition. Thanks to those fans, we are back in Key West for another New Year's Eve with Sushi at the helm, or - should I say? - in the heel. A hostage situation at a Texas bank ended Friday afternoon with all hostages safe and suspects in custody, said Lt. Onesimo Lopez of the Pearland Police Department. 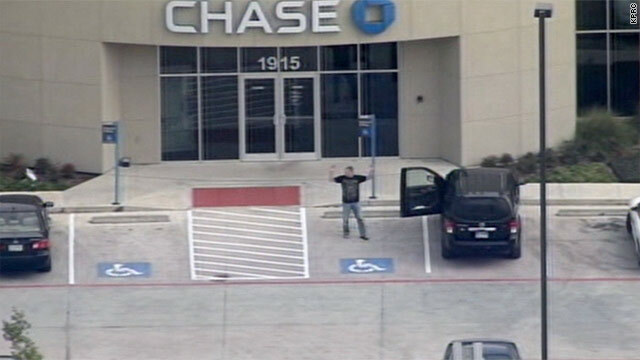 Lopez said that two armed men had taken an undisclosed number of employees and customers hostage during the bank robbery Friday morning in suburban Houston. Traders are ready to ring in 2011 after celebrating the end of a year featuring double-digit gains. The Dow Jones industrial average ended Friday at 11,578, up 11% from the close of 2009. The S&P 500 finished at 1,258, up 13% for the year, and the Nasdaq rose 17% to end at 2,653. 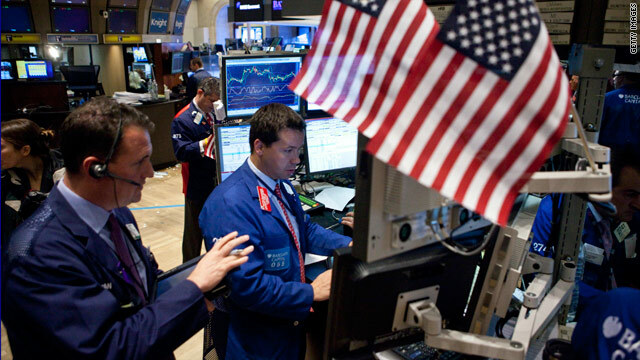 Each of the three indexes moved only slightly in trading on Friday, making for a lackluster end to a tumultuous year. Wall Street was relatively quiet during the entire holiday week, as many investors had already closed their books out in prevous trading sessions. U.S. treasury prices rose during a shortened trading session Friday, ending a volatile year on a positive note. The price on the benchmark 10-year note rose slightly, pushing the yield down to 3.30% from 3.37% late Thursday. Bond prices and yields move in opposite directions. The yield on the 30-year bond fell to 4.33%, while the yield on the two-year note edged down to to 0.60%. The five-year note's yield slipped to 2.01%. Trading volume remained light amid the year-end holiday period. U.S. debt, which is considered a safe haven, was an attractive asset to investors during the earlier part of 2010, as concerns over Europe's sovereign debt issues were at the forefront. But as those worries faded, so did the appeal for Treasuries. That has sent yields higher, especially as better-than-expected economic news bolstered demand for riskier asset. After hitting a low below 2.4% in early October, the benchmark yield finished the year at 3.3%. 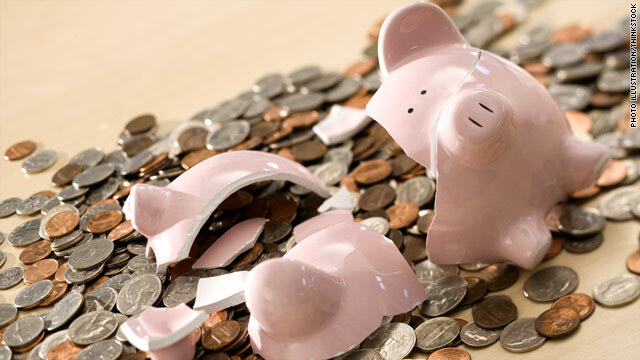 CNNMoney.com staff reporters Annalyn Censky and Hibah Yousuf contributed to this report. [Updated at 5:05 p.m. ET] A line of fast-moving storms and possible tornadoes stretching from the Gulf Coast states to Illinois left at least six people dead Friday and caused widespread damage to homes and businesses, as forecasters warned of more potentially severe weather. Three people died in the small northwestern Arkansas town of Cincinnati, which reported power outages after the strong storm went through, said Ann Upton, the county's emergency management deputy. 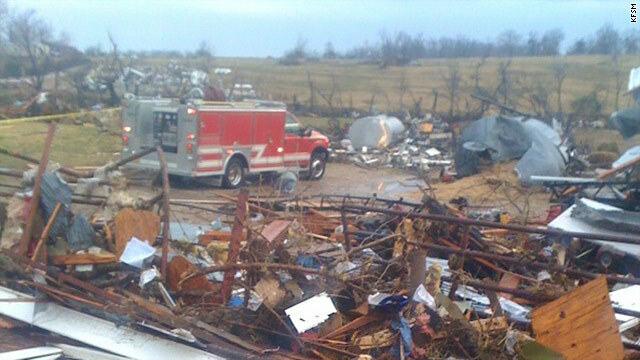 Two additional fatalities occurred in Dent County, Missouri, according to Salem police spokeswoman Wanda Suhr. Another storm-related death occurred at a home just north of Rolla, Missouri, about 106 miles southwest of St. Louis, according to Phelps County Emergency Management spokeswoman Sandy North. The storm also left 12 people injured and caused damage in Benton County, Arkansas, near the state lines with Oklahoma and Missouri, officials said. [Initial post, 11:19 a.m. ET] At least three people were killed and five critically injured after a suspected tornado hit northwestern Arkansas Friday morning, authorities said. An airborne single-engine plane collided with a medical-evacuation helicopter at Virginia's Shenandoah Valley Regional Airport on Friday, killing two people, the Federal Aviation Administration said. The incident involved a single-engine Cessna 172 and Eurocopter EC135 MedEvac helicopter, the FAA's Jim Peters said. 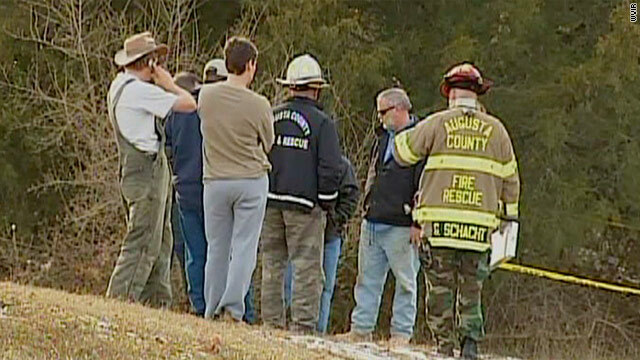 The two who died were on the single-engine plane; the helicopter landed safely with no injuries aboard, the FAA said. Read coverage from CNN affiliate WHSV. Bowl games highlight the final day of 2010, but New Year's Eve also reminds us to reflect on the year that was. 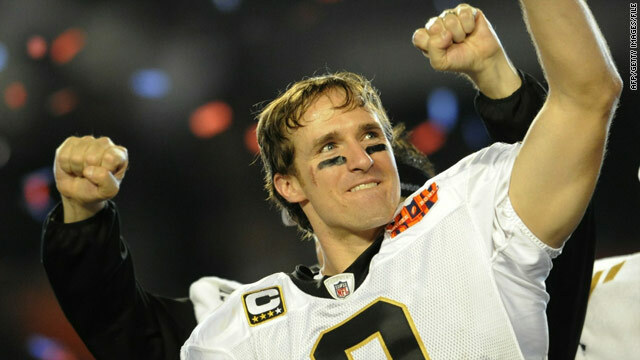 It was a year that saw the Super Bowl go to the Saints and a year in which we learned Tiger Woods was anything but (a saint). We watched in agony as LeBron James made his "Decision," Brett Favre made a comeback more notable off the field than on it and Armando Galarraga was robbed of a perfect game on the final out. But there was plenty of good in 2010 as well. Six no-hitters were thrown in baseball. The Lakers and Celtics delivered a classic NBA Finals. Jimmie Johnson defied the odds to snag his fifth Chase for the Cup title. Spain won the World Cup title in South Africa. John Isner outlasted Nicolas Mahut in a marathon match at Wimbledon. And Butler's Gordon Hayward nearly banked in a half-court shot at the Final Four to almost deliver the greatest Cinderella story of all time. At least four people were killed and another 13 wounded Friday in a bomb blast at an army barracks in Abuja, Nigeria, the deputy police commissioner said. 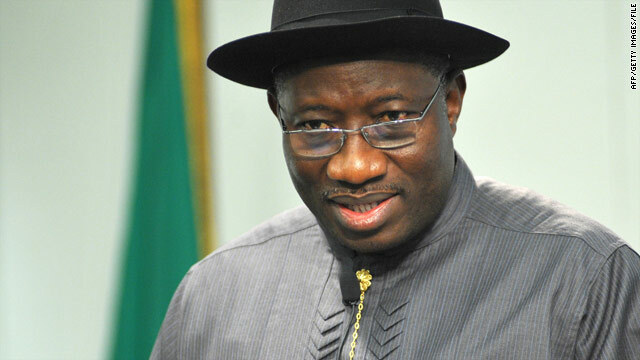 Nigerian President Goodluck Ebele Jonathan condemns the attacks, a spokesman said. 2010: The year in celebrity scandal It was a tough year for some Hollywood notables. 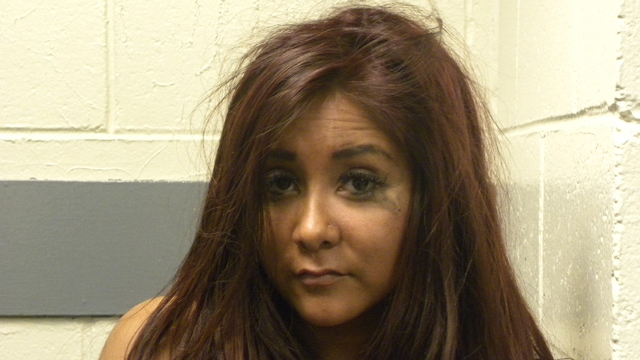 Aside from the usual rash of DUI's and drug convictions, there were "star whacker" plots and an odd hotel meltdown. For our final installment of CNN.com's Year in Review series, we take a look at some celebrities who smiled and said cheese this year for the paparazzi and the police. 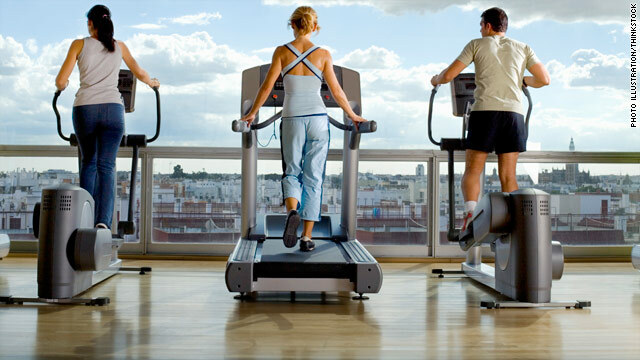 Psychologist Jeff Gardere tells "American Morning" how best to keep your New Year's resolutions. "Studies show that people who do set resolutions this time of the year are 10 times more likely to achieve their goals, but these are people who work at it, and that's what's most important." 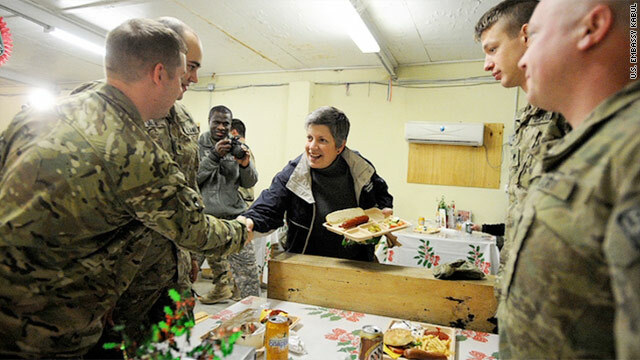 Homeland Security Secretary Janet Napolitano arrived in Afghanistan Friday and planned to spend New Year's Eve with U.S. troops in the region. She reviewed security operations at a key point along the Pakistani border - part of an ongoing U.S. effort to strengthen Afghanistan's border police. "Building and maintaining a strong border crossing system is critical to the stability and security of Afghanistan," Napolitano said in a written statement. "Over the past year, the Department of Homeland Security has worked closely with the Afghan government to help establish a border security and customs system to counter terrorism while facilitating legitimate travel and trade." 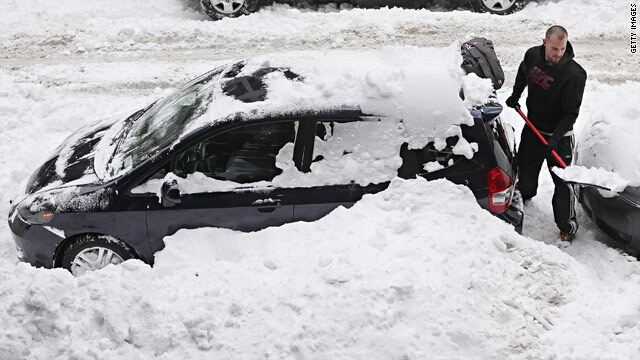 Filed under: Afghanistan • Military • U.S.
New York City Councilman Daniel Halloran talks to "American Morning" about allegations that union workers slowed the cleanup of the blizzard-socked city to get back at Mayor Michael Bloomberg. 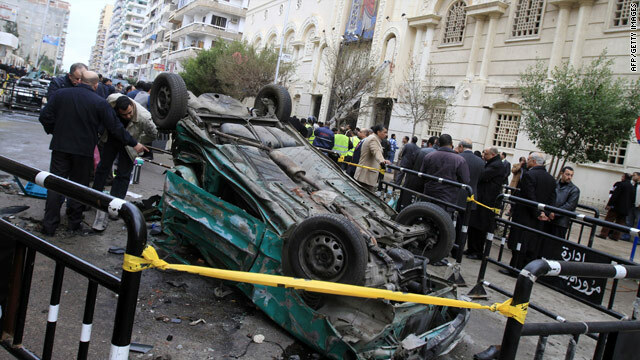 Jim Bacon, author of "Boomergeddon," tells "American Morning" about the wave of thousands of boomers who will turn 65 starting Saturday - and the impact this 19-year "tsunami" will have on Americans. "They haven't saved enough. They have too much debt. And they're all going to be relying on social security and Medicare that we know in 15 years is going to be in great jeopardy," he says. Singer Annie Lennox received an Order of the British Empire honor from Queen Elizabeth II for her charitable work. Lennox was honored for her work fighting AIDS and poverty in Africa. She is one of 997 people named to the queen's annual New Year Honors List. Lennox has had numerous hit songs over the years with the Eurythmics and as a solo artist. Among them: "Sweet Dreams (are Made of This)," "Here Comes the Rain Again" and "Walking on Broken Glass." Her 2010 Christmas album has sold more than 1 million copies. Supreme Court report: The U.S. Supreme Court will release Chief Justice John Roberts' year-end report at 6 p.m. ET. Roberts may comment on judges' salaries, judicial nominations, security concerns in the courts and other issues. Weather watch: The Northern Plains will endure blizzard conditions for another day as a powerful upper-level storm moves east from Colorado, the National Weather Service says. Wind chills of 15 to 30 degrees below zero are likely to put the kibosh on outdoor New Year's Eve celebrations across the Midwest. Falling objects: As many as 1 million revelers are expected to pack New York's Times Square area for the annual ball drop, but that's not the only place where people will be counting backward and watching things fall at midnight. Sun Bowl: Notre Dame vs. Miami, 2 p.m.
Liberty Bowl: Georgia vs. No. 25 UCF, 3:30 p.m.
Chick-fil-A Bowl: No. 20 South Carolina vs. No. 23 Florida State, 7:30 p.m.
A man in Clemson, South Carolina, had to be hospitalized after he was hit by an SUV while playing a live version of an arcade game, CNN affiliate WYFF reports. The 23-year-old man and some friends were acting out the video game Frogger, in which players try to send frogs across a busy highway without getting run over. Police said the man, whose name was not released, yelled "Go!" and darted into traffic, where he was struck by a 2010 Lexus SUV. He was treated at a local hospital and released. He is not a Clemson University student, police noted. Neither he nor the SUV driver was charged, police told WYFF. London's Daily Mail Online compared the incident to an episode of "Seinfeld" in which George Costanza tries to move a video game across a busy street. 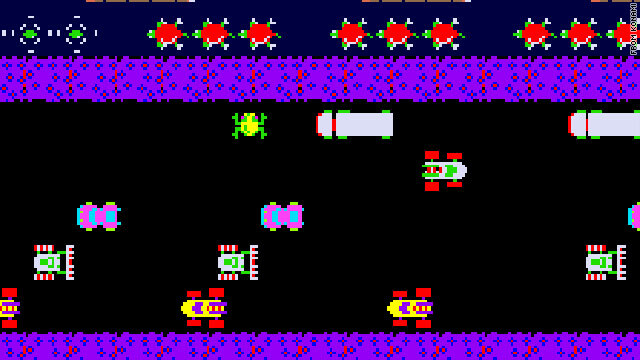 The photo above is a screen shot of Konami's Frogger game, which was released in 1981. Filed under: South Carolina • U.S.
2011 is just around the corner, and CNN.com Live will be ringing in the new year all day and all night! 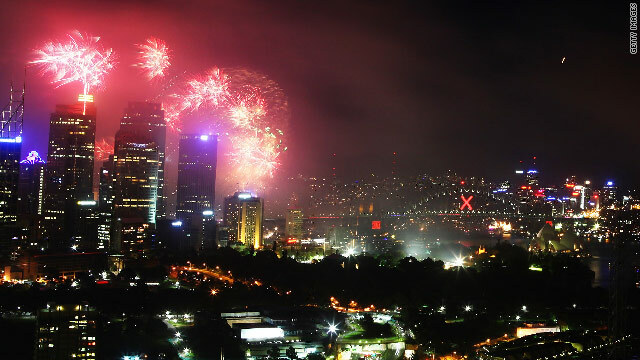 8:00 am ET - New Year in Australia - A fireworks show highlights 2011 festivities in Sydney, Australia. 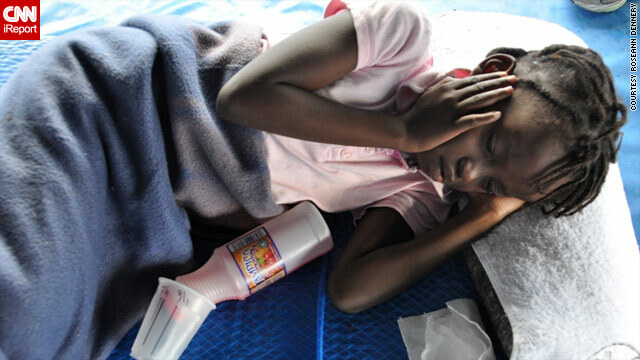 The death toll in Haiti's cholera outbreak has risen to 3,333, and another 149,000 people have fallen sick, according to the latest figures from the country's Department of Health. The record winning streak of the University of Connecticut's women's basketball team is over, ended by the school that was the last to beat it more than two years ago. 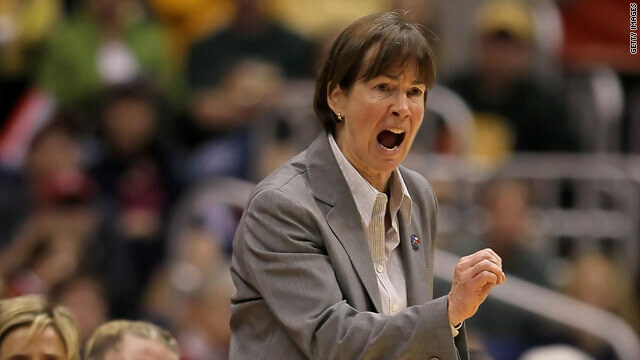 Stanford beat the top-ranked Huskies 71-59 on Thursday night in Palo Alto, California, halting UConn's winning streak at 90 games, the longest in NCAA Division I basketball history. The loss comes just nine days after UConn, picking up its 89th consecutive win in a game against Florida State, surpassed the men's Division I streak of 88 set by coach John Wooden's UCLA teams from 1971 to 1974.